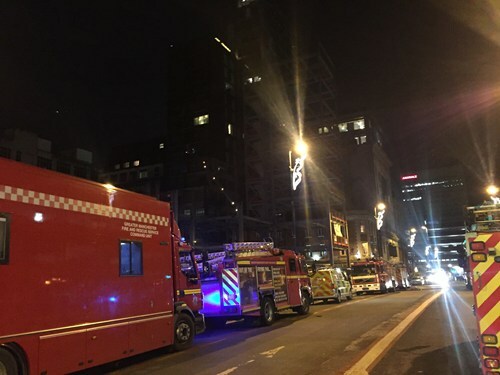 FIREFIGHTERS are still at the scene of a major blaze in the Northern Quarter last night which saw one man hospitalised and dozens of residents evacuated from a 20-storey apartment building. Fire broke out at 4pm on the ninth floor of the block of flats on Joiner Street building. At the height of the incident 12 fire appliances were at the scene, including aerial appliances, a command support vehicle and technical response unit. 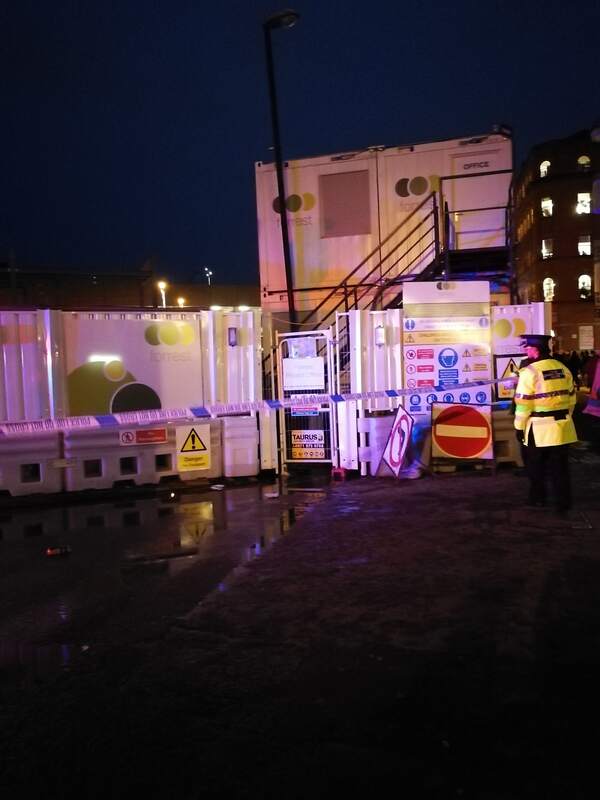 A 23-year-old man was taken to hospital casualty suffering from smoke inhalation. The fire, which started on the ninth floor, affected around four flats. Firefighters say the eighth floor suffered smoke damage due to the heat and floors 10 and 11 were also damaged on the outside. The fire spread to the other floors via wooden balconies but fire chiefs say that no cladding was involved. 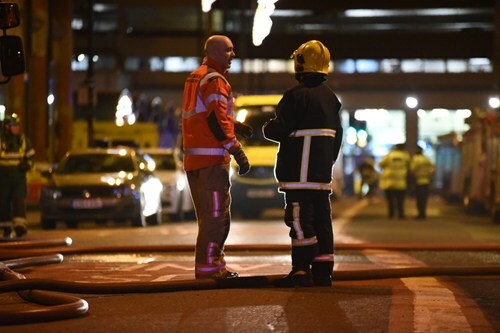 A spokesperson for Greater Manchester Fire and Rescue Service said: “Fire crews remain on the scene to systematically search the building, although we are confident there are no other casualties and the incident is now being scaled down." Residents from florrs one to five and floorseven have now been allowed back into their flats. One fire engine remains at the scene to carry out checks and thermal scans.